The Westgate Hotel will kick off summer with a series of two different poolside events - the Sunset Poolside Jazz Series, a weekly event with some of San Diego's top musicians, and the French Riviera Soiree & Swim Club, a monthly event series inspired by the famed Saint Tropez pool parties of Southern France. 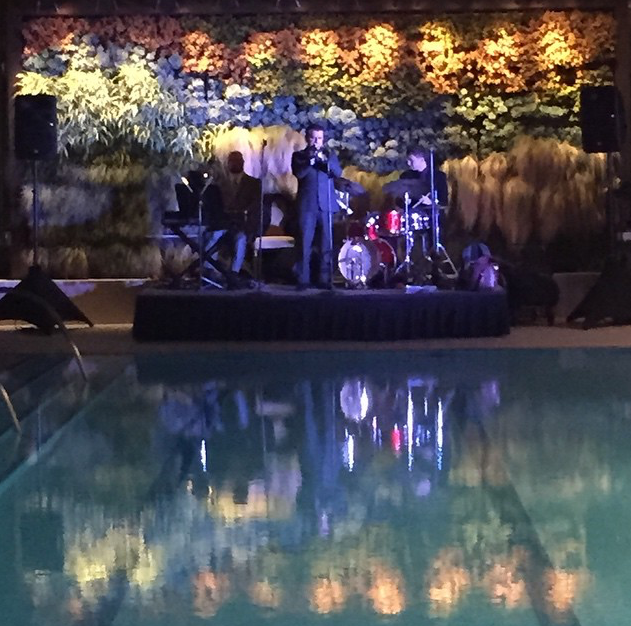 From June 2 through August 25, for the third year running, The Westgate Hotel will stylishly sooth guests with their annual Sunset Poolside Jazz Series. Every Thursday this summer, guests are invited to spend an evening atop the hotel’s serene and chic rooftop lounge to enjoy the musical stylings of top Jazz performers. The sounds of summer will be paired with specialty cocktails, fine whiskeys, beers, wines, and an assortment of delectable dishes the Westgate is known for. The events will be free to attend, with food and drink offered a la carte. The French Riviera Soiree & Swim Club series is scheduled to take place on the second Saturday of every month beginning Saturday, June 11 through September 10, taking place from 3-8pm. Locals and visitors alike will be welcomed to the hotel’s rooftop where they will be transported to the chic sophistication that is summertime in the South of France. 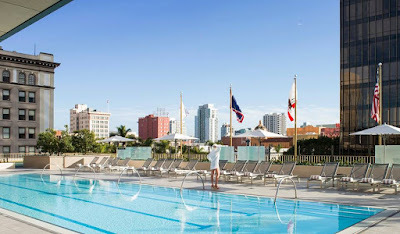 Guests will enjoy an upscale swim club ambiance around the refreshing pool, with modern chaise lounges and VIP cabanas. Westgate's resident DJ Aleko will spin the laidback beats of summer while the Westgate’s mixologist Irving Gonzalez shakes and stirs a selection of beverages and craft cocktails. As no French party would be complete without delicious cuisine, Executive Chef Fabrice Hardel will present seasonal dishes and a seafood raw bar station in open-air luxury. Only 50 tickets will be sold for each French Summer Soiree & Swim Club event to preserve an exclusive and intimate experience. Admission is $25 per person and all food and beverages are available a la carte. Tickets can be purchased on online. VIP cabanas and bottle service will also be available for parties of 6 or more. The Westgate is also offering special room rates for these events starting at $169. The Westgate Hotel is located at 1055 Second Avenue in downtown San Diego. For more information, visit westgatehotel.com.